Specialist airfreight carriers belonging to businessman Alexey Isaykin – the Russia-based Volga-Dnepr Group (VDG) and UK-registered sister company CargoLogicAir (CLA) – are to establish a regional hub for VDG and CLA at Liège Airport (LGG), Belgium’s biggest cargo airport, with the provision of up to 30 cargo flights a week, bringing an additional capacity of some 300,000 tonnes. On the back of a recent big B747-8F and B777F freighter commitments announcement, VDG (which includes Volga-Dnepr airlines, AirBridgeCargo and Atran), and its strategic partner CLA, the British all-cargo carrier, have inked a Memorandum of Understanding (MoU) on a strategic cooperation with Liège Airport, Europe’s seventh largest cargo airport, with the aim of strengthen their positions in the European market through the development of a regional hub and the enhancement of freighter capacity. Within the next three to five years the three parties will combine their efforts in establishing a regional hub for VDG and CLA freighter operations with the provision of cargo handling for up to 30 cargo flights per week, bringing an additional capacity of approximately 300,000 tonnes. The flights will be supported by local maintenance facilities to be organised on the airport’s premises. As a first step VDG’s maintenance, repair and overhaul (MRO) arm, Volga-Dnepr Technics Moscow, has already qualified as a third-party servicing facility in Belgium as of May of this year. Liège airport is located to the north-west of the city in the east of Belgium, and is strongly focused on airfreight services. The seventh largest in Europe, it is also Belgium’s biggest cargo airport and positions itself as the easy in-and-out cargo hub for central Europe, specialising in express freight, e-commerce, pharmaceuticals and perishables products. Liège airport, a cargo platform at the heart of the Amsterdam-Paris-Frankfurt golden triangle, will support both companies in opening up new routes and establishing communication channels with the relevant government authorities for smooth operations both with other like-minded airports of Europe, as well as worldwide. 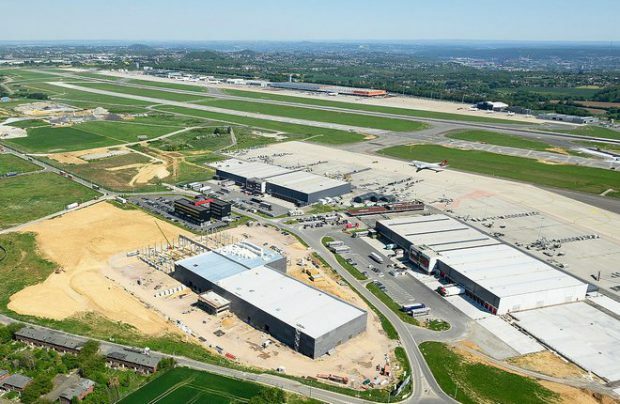 On top of this, because Liège is an uncongested and unrestricted 24/7 operational airport, the arrangement will provide VDG and CLA with sufficient ground handling, warehousing and office areas for the smooth coordination and operation of freighter flights. The joint effort will be organised through the setting up of dedicated working project groups to strengthen communications and negotiations, discussions and finalisation of the cooperation details. The groups will work out specific programmes, whilst carrying out regular reviews to drive the implementation of all relevant measures. In a separate development, further afield, AirBridgeCargo has strengthened its Asian footprint by adding Ho Chi Minh City to its international network of more than 30 destinations. A new B747F flight will link customers from Singapore and Ho Chi Minh City with other destinations within ABC’s international network through its Moscow cargo hub. Ho Chi Minh City, which becomes ABC’s 12th Asian online destination, will also strengthen ABC’s presence in Vietnam after more than three years of operations to/from Hanoi, the capital of Vietnam. Ho Chi Minh City, coupled with Hanoi, will enable the complete coverage of the Vietnamese catchment area. Volga-Dnepr Group is the world leader in the specialist market of oversized and super-heavy cargo transportation. The Group consists of three independent airlines – Volga-Dnepr Airlines, AirBridgeCargo Airlines and Atran airlines – using its fleet of 41 ramp and non-ramp aircraft, operating services utilising a fleet of An-124s and Il-76s for oversized and super heavy cargoes, as well as Boeing 747Fs and Boeing 737Fs for general and special shipments. Its support business includes leasing, insurance, MRO, trucking and training specialisms. CargoLogicAir is an all-cargo airline with its headquarters at London’s Heathrow Airport. It received its Air Operator’s Certificate (AOC) from the UK’s Civil Aviation Authority in December 2015 and commenced operations soon after. The airline’s fleet of three Boeing aircraft operates scheduled and chartered services on routes between the UK, Asia, Africa and the Americas.